The students served in community agencies, including aged care, child care, the primary school and the local shop, as well as doing a variety of maintenance tasks around the community. 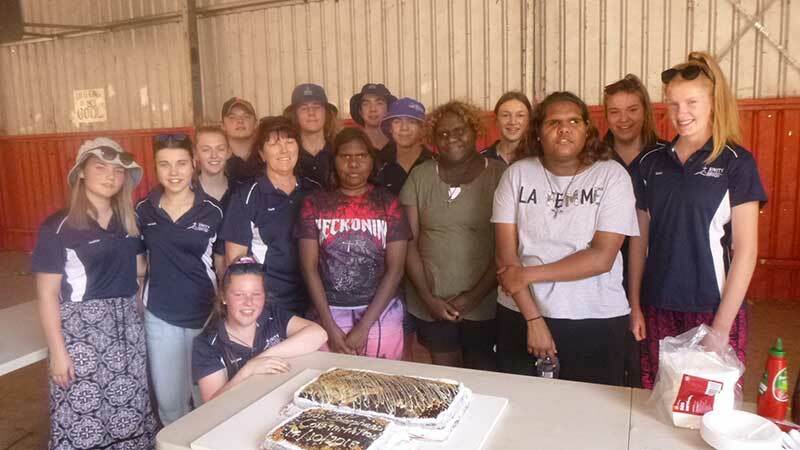 Since 2014 the communities of Hermannsburg and Utju have engaged in a partnership of service with Unity College to give the Aboriginal students a chance to study at the college and to engage in school and community opportunities to spend time with each other. 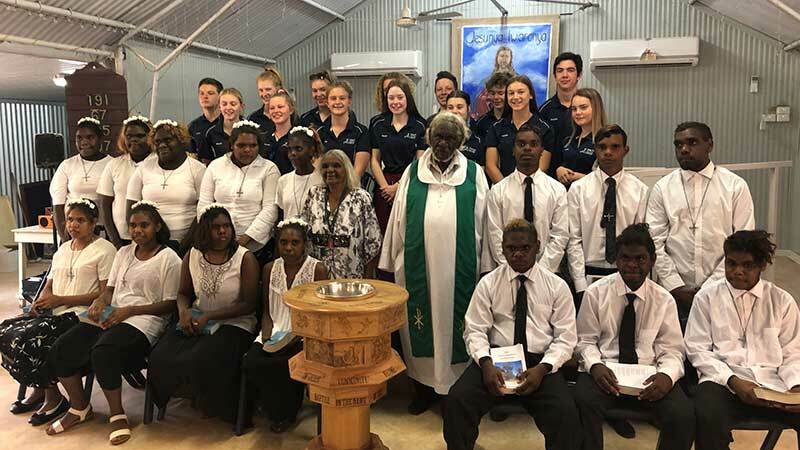 For the Unity College students from the Murraylands and Murray Bridge, the program offers the opportunity to develop an appreciation for the cultural and environmental conditions experienced by the Areyonga community. Through the experience, the Unity students develop their interpersonal and leadership skills. ‘It has been fascinating to witness the growth and development of our students who live and learn in Areyonga for a short period of time, as the CASLAU students show them their community, life and challenges’, Wayne says. A highlight of this year’s visit was the confirmation service, in which 15 current and former Unity CASLAU secondary students were confirmed. Staff and students from Unity College, friends and families of the confirmees and the Utju community came together at Good Shepherd Lutheran Church to celebrate as the young people affirmed their faith in Jesus Christ. The service was conducted by pastoral assistant Daphne Puntjina from Utju and Pastor Marcus Wheeler from Hermannsburg. The Areyonga women’s choir sang while the students took their first communion. Each confirmee was presented with a handmade nail cross necklace made by the Unity College students. 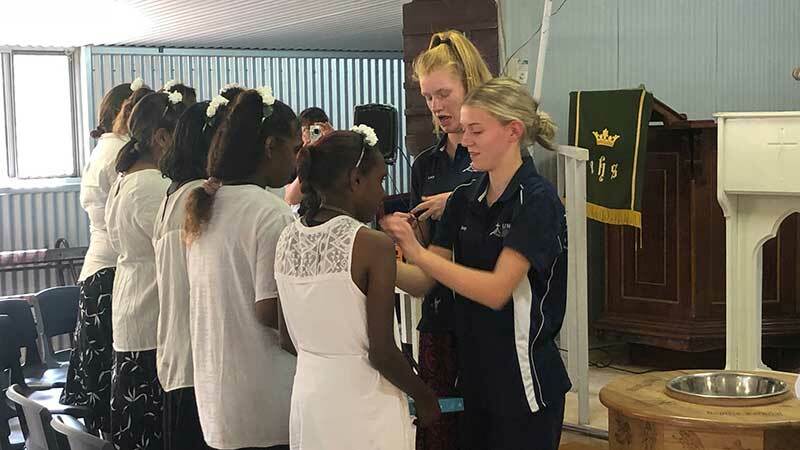 They were encouraged to wear the crosses to remind them of the sacrifice Jesus made for them and to continue to follow him in their life’s journey. They also each received a Bible donated by Maitland Lutheran Women’s Guild, Coonalpyn Redeemer Lutheran Church and Mackay Community Lutheran Church. On the same day the community celebrated the baptism of Dorothy Shuantea Watson. The Unity students then helped serve a community lunch for over 200 people from the Areyonga community. I gained a better understanding of the culture and challenges faced by people in Aboriginal communities. I enjoyed interacting with the school children. I felt proud about making a contribution to the Areyonga community. The opportunity to learn about a different culture. Having the chance to talk to elders and kids. It’s a special region to visit. I would like to thank all the staff that went on the trip and make it possible for me to go. I hope I could go on it again.